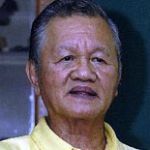 PhilBoxing.com >> News >> List of Articles >> Recah Trinidad: Who's afraid of Peping Cojuangco"
Who's afraid of Peping Cojuangco"
TO paraphrase what everybody who truly cares has been praying for, it's time to get a new coach for Philippine sports. The call becomes extremely urgent following the shameful showing of the Philippine national contingent headed and handled by Philippine Olympic Committee President Peping Cojuangco in the recent London Olympics. The debacle has reached a distressing point. "Oh no, not him again," cries the astute and usually unruffled veteran newsman Percy Della from his borrowed nest in Sacramento, California. Percy has been alarmed that nobody seems to care anymore about clamoring for a competent, honest and responsible national sports leader. But why not Peping again? "Because he has no record to stand on," Percy, perplexed, specifies. What do you mean no record? "If you review Peping's record in international meets, they honestly resemble a police record." "Those debacles have reached a scandalous point they've turned off and discouraged countless young souls from honestly pursuing a full sporting life." "Yes, and I'm surprised there has been no open protest against this rotten leadership,you know, the way they did a People Power uprising against Marcos." Percy Della rues the fact that nobody has been courageous and patriotic enough to take the cudgels for beleaguered and oppressed PH Sports. "Where's Ricky Vargas, for example?" he wonders. Well, last heard of, Vargas was doing some breast-beating over a gold-medal harvest by his young national boxing team in an invitational tournament in Taipei. Vargas, president of the Amateur Boxing Association of the Philippines (ABAP), was saying that winning the championship in Taipei courtesy of international first-timers, clearly bared a "radiant grassroots record program." Truth is that Vargas' name, thanks to his sterling record, has often been mentioned as a solidly strong challenger to Peping Cojuangco. Either his advisers feel Vargas is over-qualified or they see no chance of ever tripping the stern and wily POC president in the national Olympic leadership poll in November. Could Ricky Vargas swing it? "Anybody who will challenge Peping will be a sure winner at this juncture," swears national track and field association president Go Teng Kok. Go has been credited (and eternally regrets it) for having delivered the swing votes that gave Cojuangco a slim win over Munich Olympian Arthur Macapagal in the POC polls four years ago. But does Go, a one-time Cojuangco henchman, have a head-count? "All NSA heads don't want Peping to lead anymore," Go says. "They want a leader who can stand for them." The battle-cry at the POC now, cries Go Teng Kok is: ?Anybody but Peping." One last question: Does President Noynoy Aquino love his uncle more than he cares for Philippine sports?